Scottsdale Drone Service Company - The Drone Co.
Do you need Drone Service in Scottsdale? Call Your Local Scottsdale Aerial Drone Photography and Video Company. The Drone Co provides drone services in Scottsdale, Arizona. As a licensed and FAA authorized drone services company in Scottsdale we provide a superior level of service. All of our drone services in Scottsdale are covered by our $3,000,000 liability insurance policy. Don’t settle for someone who isn’t licensed and insured. The FAA can fine you up to $250,000 per incident if you use someone who is not commercially licensed to fly and film in Scottsdale. If you’re looking for aerial drone service in Scottsdale on The Drone Co. If you need an aerial drone company in Scottsdale that is licensed, certified, insured and professional call on The Drone Co.
Scottsdale Drone Service Company The Drone Co. If you need drone photography or videos in Scottsdale, Arizona call on the #1 Scottsdale drone service Company, The Drone Co.
As the top UAV / Drone company in Scottsdale we are proud members of the UAV Pilots Union. As members we help fight for the rights of UAV opperators in the Scottsdale and across the USA. If you would like to support the UAV Pilots Union visit their website today. 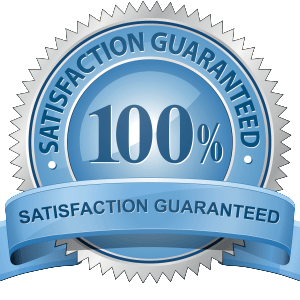 As the leader in Scottsdale Drone Services, The Drone Co. provides the only 100% Satisfaction Guarantee in the Scottsdale drone services industry. The Drone Co. is the only FAA Approved Drone Service Company in Scottsdale that provides a 100% Satisfaction Guarantee, $3,000,000.00 in liability insurance company, Adobe Certified Professional Editors and fully certified drone pilots for every flight.